A South Forest Beach Location! One bedroom villa with ocean view and walkout on a 12 mile long beautiful ocean beach of sand! Villa interior is up-to-date and nicely decorated. Location is within walking distance of restaurants, shopping, and food markets. Sunny but sheltered pool. Third floor villa with elevator access and great ocean view. We offer free use of nearby fitness center. Secure Wi-Fi is avaiable. 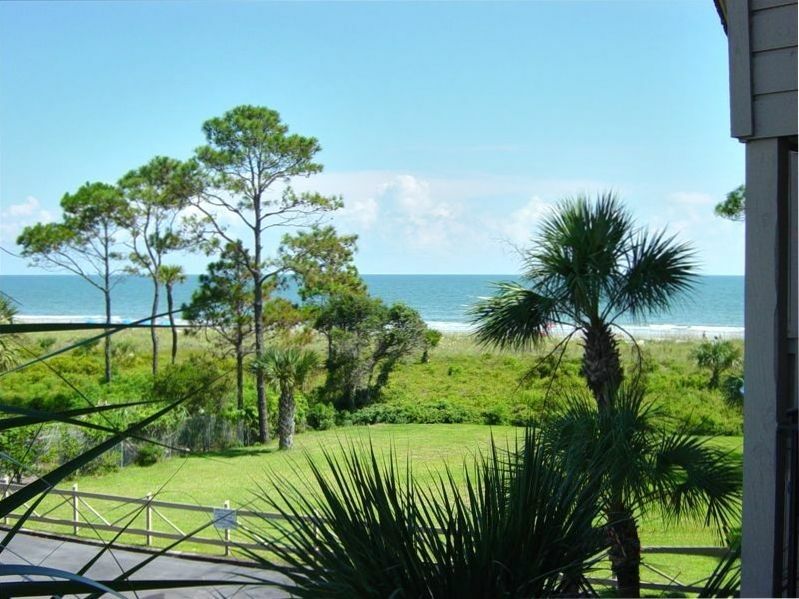 Best of all, you are in the most popular Forest Beach area of Hilton Head in an Ocean Front Complex. Park your car and you don't even have to use it again. Walking distance to Coligny Plaza, Beach Shops, Restaurants, Water Fun Park, Movie Theater, Tiki Bar, Night Clubs, and miles of bike trails which you can catch right from our complex. Biking is also done on the 12 miles of beach in front of the complex. Please check desired date by accessing the link for our availability calendar. We respond promptly to all e-mails.